As the girls get older and confront many new situations, I am finding that one of the most important things I can teach them, is how to find a sense of peace within themselves. Whether it is a situation with peers, pressure from school, or scary things they hear about in the news, we want our children to know that they can handle and process anything that comes their way. When our children were younger, we were able to be present with them more often, and could help them navigate these situations in the moment. Yet, as they grow and spend longer hours in school, outside activities, and with friends, it becomes imperative that they know they can depend on themselves to navigate any situation. As an adult, I have turned to many of these techniques myself as a way of dealing with difficult situations. It does take practice… I often find that my initial reaction to life’s bigger challenges (sadness, anxiety, anger, critical inner voices) often lead to more upset, creating a cycle that is hard to break. When families talk openly about how to process different life circumstances, and share in techniques that help us through, it creates a peaceful home environment and models essential life skills. Peace truly does begin at home. In an effort to help our daughters, we have found that teaching (and practicing) simple techniques that they can use to: come back to the present moment, find peace within, and to accept rather than resist what is happening, has helped tremendously to lesson anxiety and empower them to know that they are capable of dealing with life’s ups and downs. 1. Is Nothing Something? by Thich Nhat Hanh – A lovely book, filled with life’s big questions, answered from a mindful perspective. This book offers a wonderful way to start important family conversations. 3. Take the Time by Maud Roegiers – A picture book that walks you through simple things children can do when they need help coming back to the present moment. 4. Silence by Lemniscates – A wonderful book that reminds us of the beauty we can discover within ourselves and the world when we quiet our minds. 5. A Handful of Quiet by Thich Nhat Hanh – Walks you through a few simple experiences that can be shared as a family. 6. Sun Art Paper – Taking time to appreciate the little things, like the veins on a leaf, helps us to clear our mind. Creating art that captures these moments can act as a reminder to us when we need it most. 7. KidSafe Calming the Child Essential Oil – We have found that empowering children to use (with parent guidance) safe, natural remedies, helps them to monitor their health, moods, and feelings. We love using essential oils for different situations that arise. This calming oil is the perfect way to nurture oneself when needed. 8. Hoberman Expanding Mini Sphere Toy – This intriguing toy is a wonderful way to practice mindful breathing. 9. 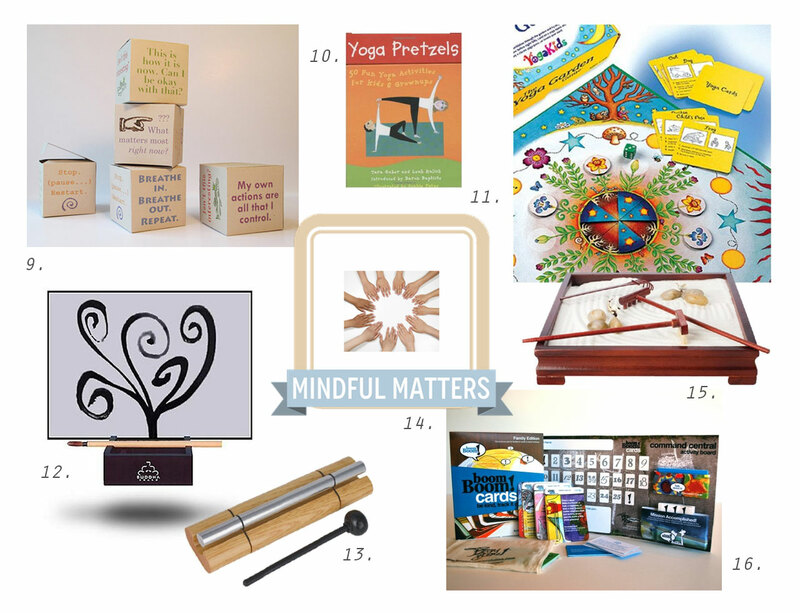 DIY Mindfulness Boxes – I love the idea of having these mindful reminders around the house! 10. Yoga Pretzels Yoga Cards – These yoga cards have been a family favorite for years. 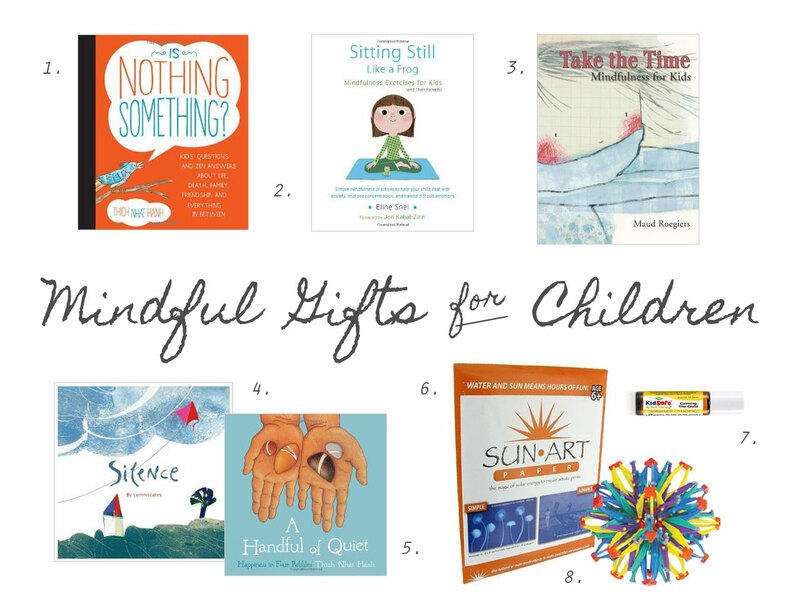 They are a wonderful way to encourage children to tune into their bodies and discover the connection between self-care and having peace of mind. 11. The Yoga Garden Game – This game is a wonderful way to introduce young children to the calming affects of yoga. 12. Original Buddha Board – This is one of the most beloved toys I have purchased over the years. We love to practice writing Chinese characters. It can also be used to practice writing letters, numbers, or calming words and images. Using the water to create words and images, is a soothing activity that can be brought out when some quiet time is needed. 13. Zenergy Chime – Having physical cues that help bring us back to the present moment are helpful during charged situations. I love the idea of using a beautiful sound as a reminder to take a deep breath and get back to center. Just be ready for your kids to chime the bell for you at times! 14. Mindfulness Matters (AKA Be a Peacemaker) Family Workshop by Playful Learning – Come together with families around the world to learn specific techniques for finding peace within and making peace in the world. This workshop is wonderful for opening up dialogue as a family while developing a shared language that can be used for years to come. 15. Deluxe Zen Garden – Relaxing activities are helpful easing anxiety or other charged emotions. 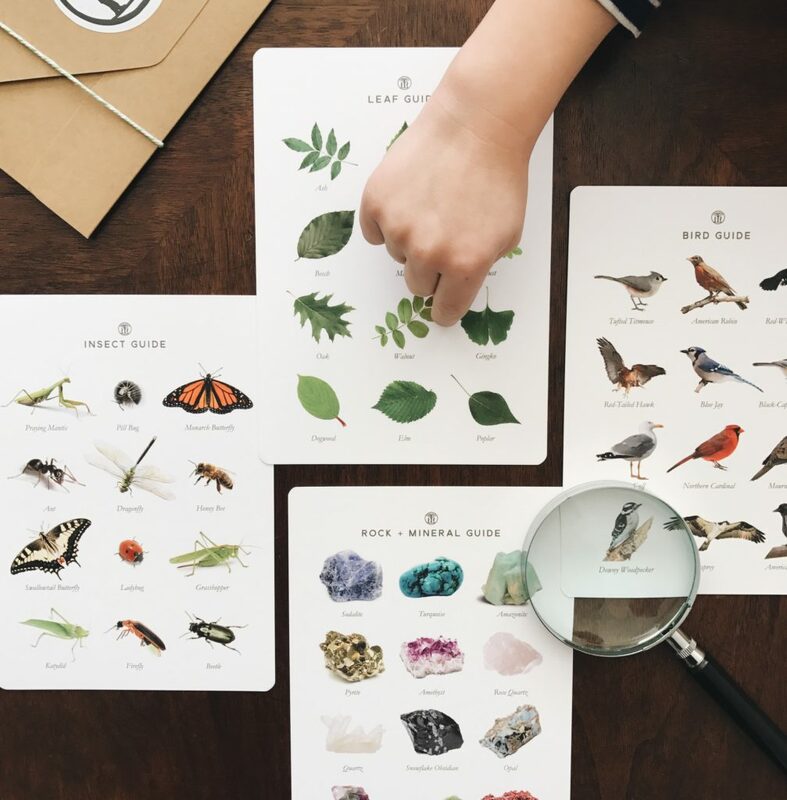 We love to add our own nature treasures to our constantly evolving Zen Garden. It’s a great addition to a nature table! 16. Boom Boom Cards Family Deck – I have found over the years that empowering children to help others, when they are feeling concerned about something, gives them the opportunity to learn firsthand about the power of our global community. This deck of cards offers inspiring suggestions for spreading kindness. You can track other people who are spreading the same acts on their website—fun!